We use a unique heat-set “HI-TEK Supercoat” manufactured by J&M Specialized Products P/L in Australia where it has been used for more than 20 years. The Hi-Tek Supercoat Bullet Coating totally encapsulates the lead projectiles and replaces standard wax lube. Our bullets are “Hard-Cast.” Hard cast bullets are just that: harder. We use a 92% Lead/6% Antimony/2% Tin bullet alloy for casting all bullets. We buy our bullet alloy directly from a local foundry that has the knowledge, equipment and experience to manufacture bullet alloy to exacting specifications. Hi-Tek Supercoat bullets are safe to shoot indoors and your dies will remain clean during the reloading process. Coated bullets produce higher velocities. The coating gives off no toxic out gassing or particulate matter when fired. The coating is absolutely nonabrasive and contains no PTFE or MOLY. There is no wax lube to gum up your loading dies and it minimizes your exposure to lead. The end result is cleaner air, cleaner hands, cleaner reloading equipment and cleaner guns. You may special order any other bullet we manufacture with Hi -Tek Supercoat Coating, but it will take a bit longer for you to receive your order. Please contact us to place your special order. Scroll down for reviews on our High-Tek Bullets!!! 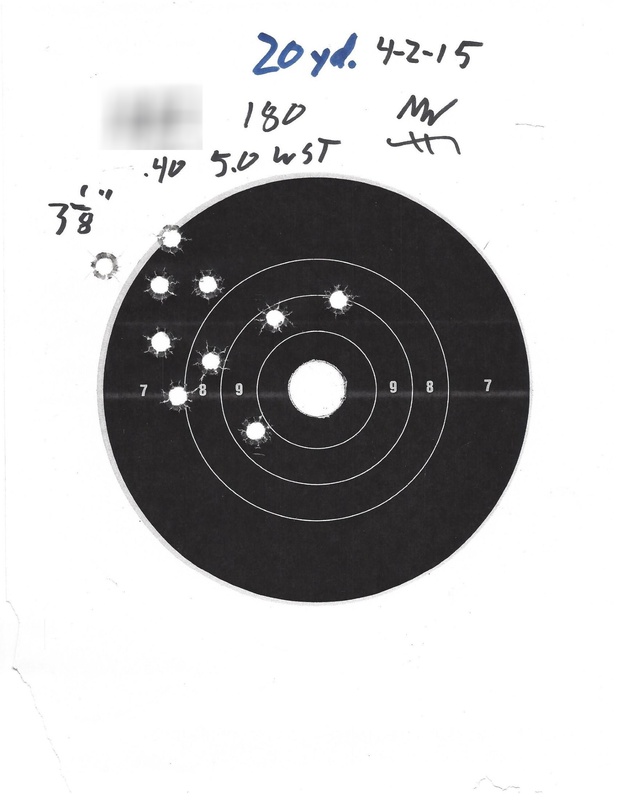 Targets from a customer comparison of our coated bullets and another company. Yesterday afternoon I bought a box of your supercoated bullets in the round I most need, 45cal 185gr SWC. I handloaded three cartridges in 45Colt and nine in 45ACP. Shot off the first three in my Ruger New Vaquero. And the rest in my very tuned up 1911, my Glock21, and my S&W/M&P45. Excellent results! Point 1: Eliminating lead vaporization and dust fallout from shooting is generally a very good thing for health and safety, even if you shoot outdoors or in clean indoor ranges like ours out at Archer. Lead dust blows back on gun, hands, clothing. Metal jacket prevents this. So does supercoating. The safety factor needs emphasis. Point 2: Handguns with polygonal, as opposed to cut land-groove, rifling, e.g., most factory Glocks, call for using only metal jacketted bullets. That's because polygonal rifling, while enhancing velocity by gripping the bullet more gently than cut rifling, also allows hot gas to escape around the bullet. This vaporizes a lot of lead when shooting unjacketted bullets. A lot of that lead condenses inside the barrel. Build-up of that lead fouling can cause a dangerous kaboom. Cleaning it out properly is a pain and the solvents needed...like a combination of vinegar and hydrogen peroxide...are damaging to the barrel over time. Your supercoating would appear to eliminate this problem for reloaders with polygonally rifled barrels. Point 3: Cost/price! When I compare your prices from your brochure with those I've paid and find in catalogs on hand and on line for jacketted bullets, I find that you offer with supercoating all the advantages of jacketted bullets for the reloader at about half the price the jacketted bullets. 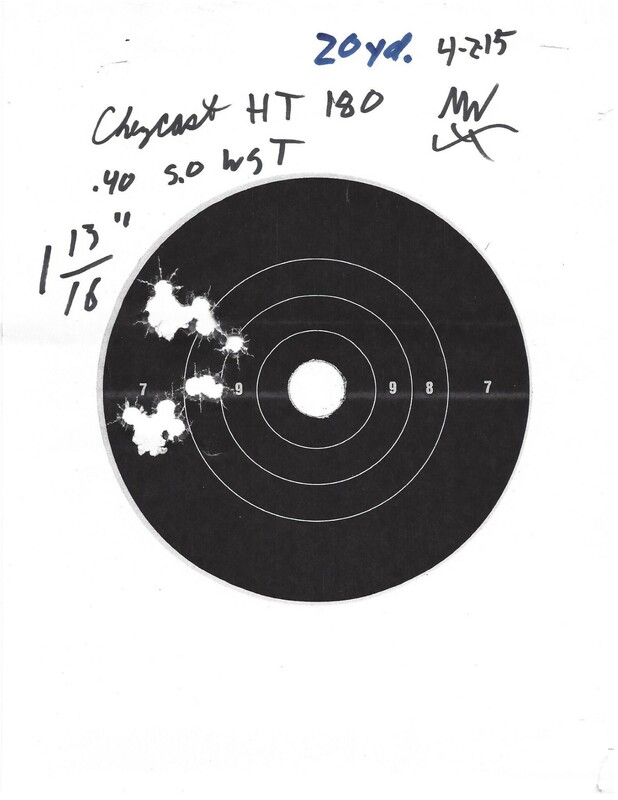 Congratulations to these fine folks who use our HI-TEK Supercoat bullets in competition! the 37th NRA Bianchi Cup National Action Pistol Championship conducted in Columbia, MO. the U.S. Canada, Europe, Asia, Australia and New Zealand competing for over $500,000 in cash and prizes. Andy Rayland finished 27th, Justin Clark finished 32nd and Robert Gaskins finished 58th. Among the Senior shooters in Production Andy Rayland finished 3rd. Congratulations to our Otto Road Range shooters for a great performance at the Bianchi Cup! I wanted to thank you for providing me the hi tech coated bullets for the Silver Bullet match I shot in Rawlins. They worked great and I had no malfunctions during the entire match. We had about 21 shooters and 10 shooters in my sharpshooter class. I finished in 2nd place. Well I just wanted to say thanks and the bullets performed great. The 24th annual Silver Bullet NRA Indoor Action Pistol Tournament in Rawlins wrapped up today. There were 22 shooters competing. My son in law Robert Gaskins finished 2nd place in Sharpshooter classification using your new coated 9mm bullets in his Glock-34 pistol. I finished 1st place in the "two gun aggregate" (combined scores using an "unlimited" and 'limited" handgun) and 3rd place in Master classification. Attached are several videos of Robert shooting your bullets. Note that this is indoors and he is standing under a fluorescent light--note the distinct lack of smoke compared to traditional lead and lube bullets. The bullets performed great and Robert had no malfunctions over the four courses of fire (198 rounds fired). The gun was cleaner, his hands were cleaner and the air was cleaner. At the shooters meeting I had an opportunity to address the group about Chey-Cast bullets and extoll the virtues of the hi-tek bullet coating process. I handed out a lot of flyers and left the rest behind at the indoor range office.